In fact, these apps are so much popular that they occupied the first three spots of the best free apps rating on the App Store. A couple of days ago, Apple updated its iWork suite with a number of new features and design tweaks to compete with Office for iPad. Microsoft's Office for iPad allows to create, edit and view documents using a tablet. However, in order to be fully functional, all the apps require Office 365 subscription. 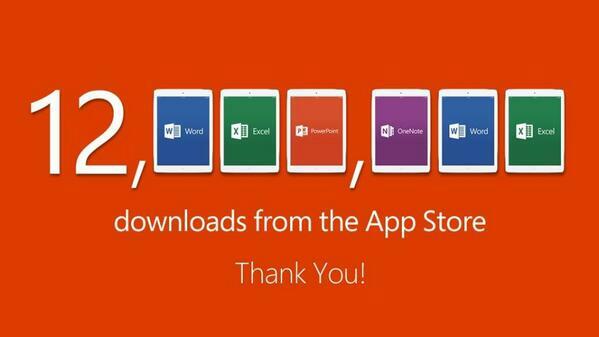 In case you got interested, Office for iPad is available on the App Store.